We are expert storytellers with the creative skills and technical chops to bring your branded content to life and help you better engage audiences across all your media channels. We are experts at crafting visual stories for todays omni-channel world. We are knowns as top creative producers who collaborate with diverse talents to produce a variety of branded content that works to engage our clients audiences. Take a look at some of our best work below. Dorsey Studios led the first formal strategic planning initiative for The Good Neighbours Club (founded in 1933)- a day centre for homeless men over 50 located on downtown Toronto. Dorsey Studios also provided creative and branding expertise to renamed and rebranded the agency (Haven Toronto) and produce branded content for online and social media distribution. The video that launched the integrated campaign promoting Toronto-based premium mens retailer Gotstyle's innovative video shopping service. Nearly 7 million views on Youtube to date and a shopper innovation award for the trophy case. Gotstyle the Menswear Store - Integrated Campaign - "Naked Man"
A two minute tour highlighting all the elements of the "Naked Man" campaign for Gotstyle. YouTube video, cinema ad, ooh digital billboard, at Toronto fashion week, and an old school 8-bit video game integrated into Facebook. A collection of some of our best video, motion graphic, composite, cgi, animation, 3D logo design, and more. enjoy. brand development and design is one of our core competencies honed over more then 20-years of experience. collectively, our team has helped establish or evolve b2c and b2b brands leveraging our strategic brand development and planning expertise to establish brand mission, vision, guiding principles, brand pillars, and targeted brand positioning messaging. with a solid brand foundation in place, our creative teams have been successful in developing on-mark creative designs for application across varied print and digital mediums. below are samples of our recent client design projects. dorsey studios was was selected to design Stance Shoes back to school window displays for all their stores in Canada. The brief - classic back to school footwear and backpacks targeted a college age youth and featuring Vans, Converse, and Herschel brands. dorsey studios landed on the "back in classics" idea inspired by a classic yellow H1B pencil. Elements produced included a poster, banner, and decal that together created a sense of motion intended to draw customers into the story and display, and focusing them on the select merchandise. And it worked. dorsey studios was excited to work with the client to evolve this 35 year old granola brand in support of an amazingly delicious new "secret stash" formulation and grocery store distribution strategy. dorsey studios developed the new name and brand story, and created a fresh new package design for multiple skus. 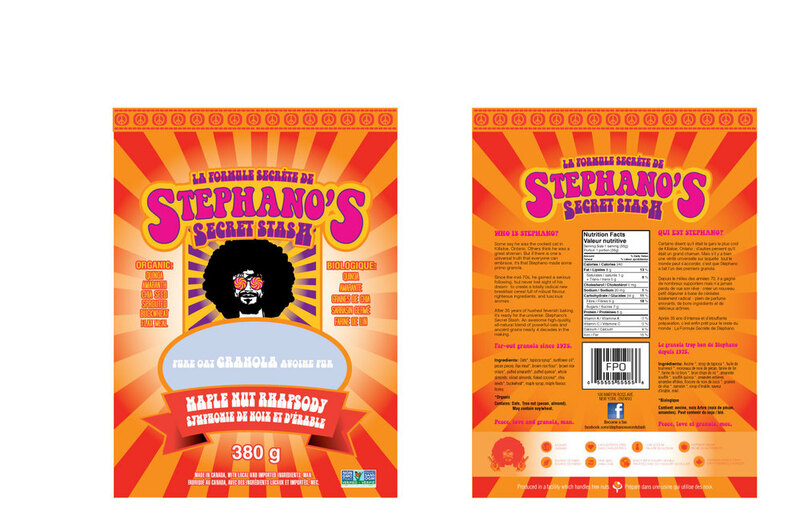 Look for Stephano's Secret Stash in stores across the country this spring. collaborating with Temporal's senior management team, dorsey studios led a formal strategic brand development process establishing new brand pillars, guiding principles, mission and vision statements, and creatively evolved the brand from a look and feel perspective beginning with a new logo design. we produce responsive designed websites that deliver optimal user experiences. we leverage a variety of platforms including html5, ruby on rails, and wordpress. our expertise includes creative ideation, graphic design, user experience design, coding, and robust cms development. we've produced both public and secure private sites. below are samples of some of our recent work. wordpress website. dorsey studios led creative direction, user experience and, brand design to visually showcase the clients innovative digital media display systems. 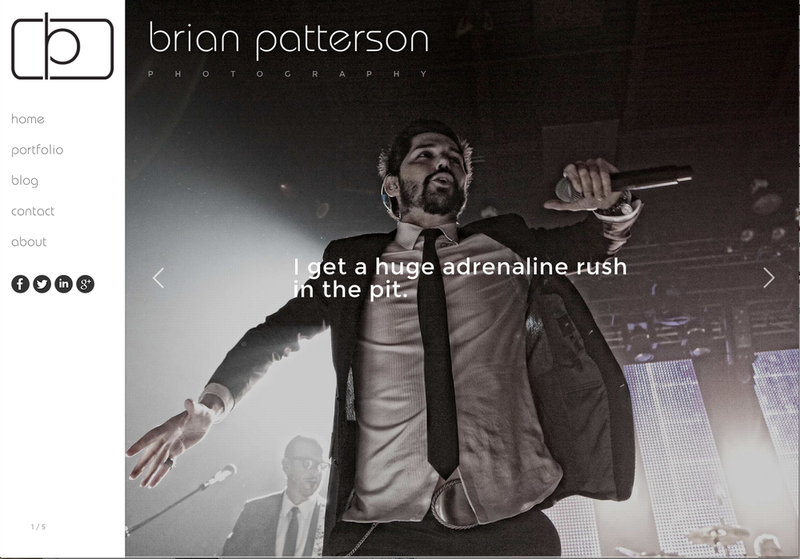 custom designed website developed on a wordpress platform showcasing brian's beautiful entertainment and concert photography. french language website designed on wordpress platform for this growing commercial cleaning company in Quebec. design, photography, copywriting, and translation all managed by dorsey studios. 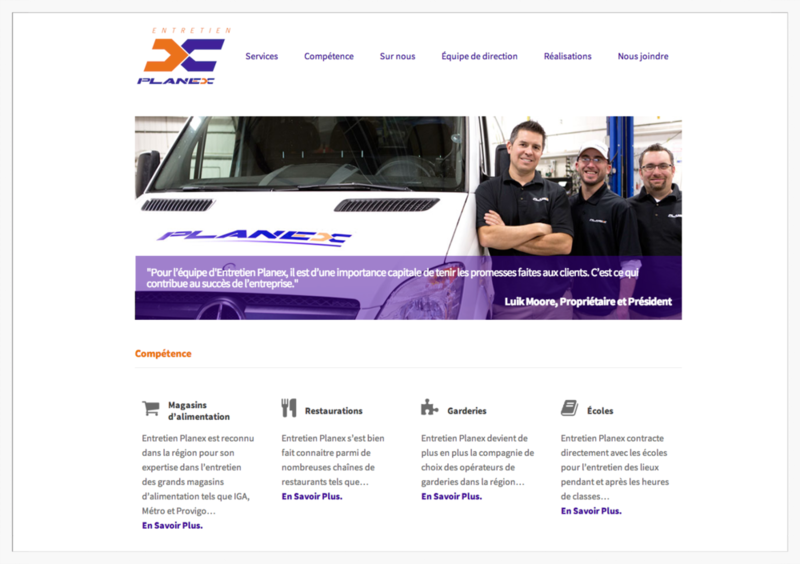 entretien planex is a quebec-based commercial cleaning company. french language site custom designed on wordpress. co-developed with fellow alumni development team on ruby on rails. private portal featuring secure LinkedIn login protocols, discussion groups, status updates, event scheduling, and image gallery creation. dorsey studios managed all aspects of this website desigin in html5, including creative and art direction, copywriting, photography capture and editing of all photographic imagery, graphic design, wireframes, and collaborated with a key development partner to code the site. a facebook integrated game and online promotion featuring old school 8-bit graphics that could be accessed online, on a smartphone or via tablet. conceived and developed by dorsey studios as a key element of an overall integrated transmedia campaign. consumers who played the game earned ballots towards weekly prizing and a grand prize shopping spree.